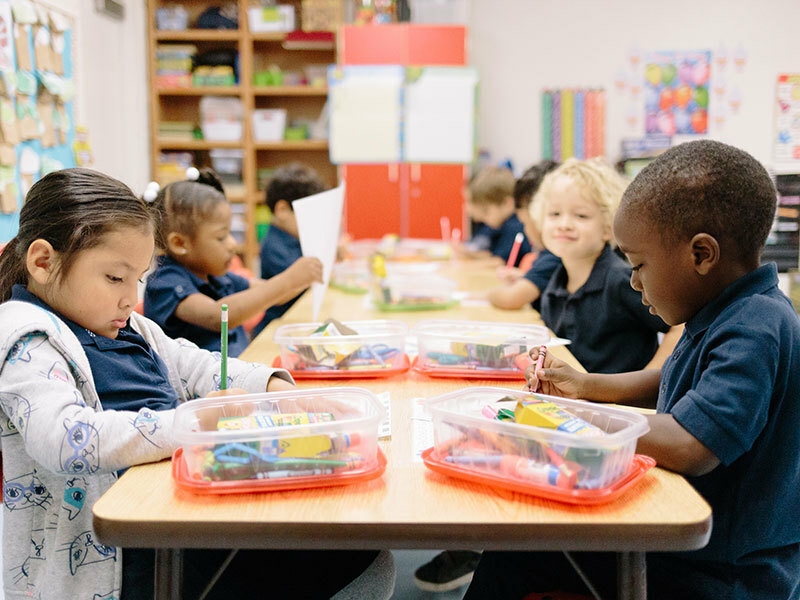 Our preschool balances strong academics with hands-on learning, fun and play for a well-rounded early education. In our preschool classes (PS2 and PS3), we teach Bible stories, songs, finger plays and early math concepts as well as letter and number recognition and beginning writing. Our K4 classes focus on preparation for kindergarten. Children build on skills taught in the preschool classes. They begin to learn to recognize sight words and letter sounds. Many of the children who go through our K4 program are reading by the end of the year.